My car needed maintenance and has a tire issue, and so, I had to take it in. These things usually take a few hours. So, I brought some work-related materials and also brought some fly tying gear. I set up near a window, as I felt a little self conscious. But, it worked out. 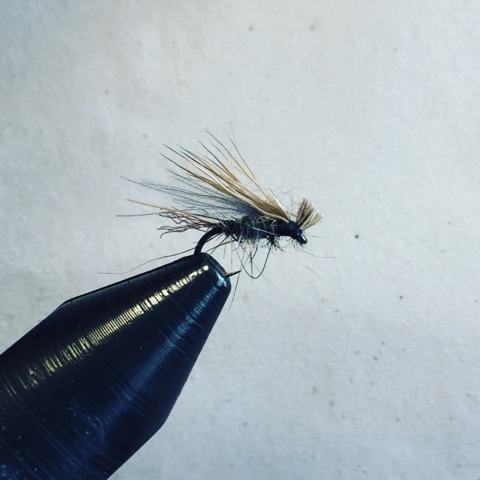 After some office-related work, I decided to tie some #20 X-Caddis. Included some CDC fibers and a trailing shuck. These flies were deadly this past summer at the Farmington. Time to stock up. Like that picture of the X caddis. I can tie that!! BTW, what color body? That was grey. I also do tan and dark olive. 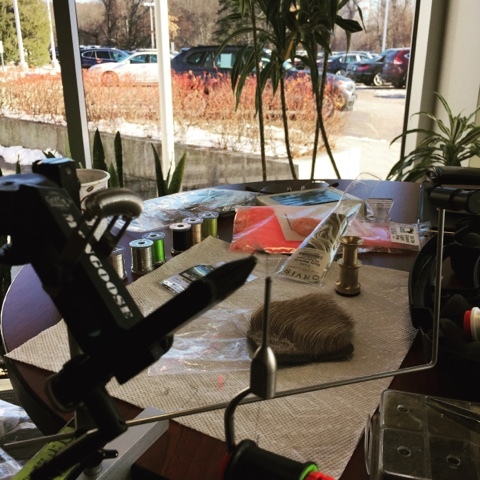 So you were tying flies in the car dealer's waiting area? Ha, that's pretty cool! Good talking with you again out at the Swift on Sunday, btw. Yes! I positioned myself at a high table next to the window and my back was to the room, as I was feeling self-conscious. But, a two-hour wait became four hours, and so, I'm glad I brought my fly tying stuff with me to pass the time. Great to see you as well, Bob. Hope you're well. Best wishes for a great holiday season if I don't see you before Christmas. CDC is pretty magical stuff!